If there’s one thing that’s really fun to discuss about, it’s throwing the best parties… on a budget that is. 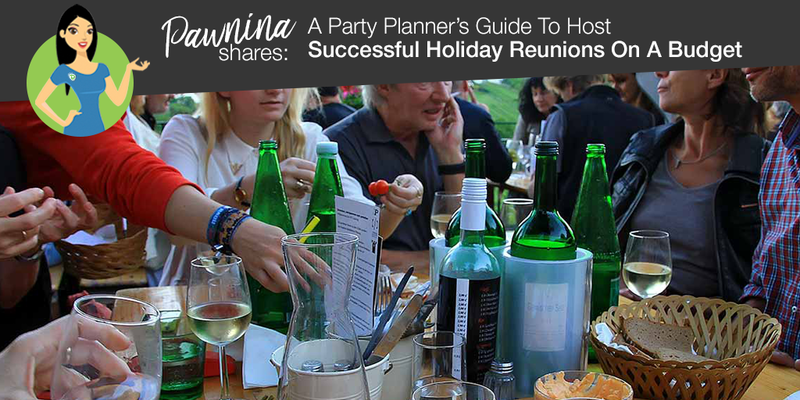 Now, for those planning to throw holiday reunions, this party planner’s budget-friendly guide will help you pull off a successful holiday reunion party! 1) Plan ahead of time. The number one rule is to always PLAN AHEAD OF TIME. 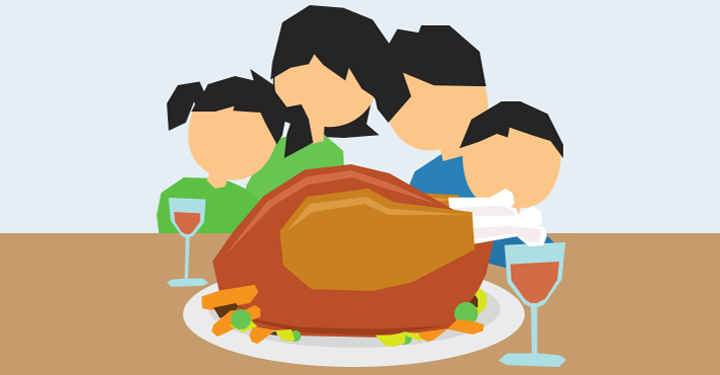 With setting the exact date, sending invites, planning the party favors, thinking of fun games and a whole lot more, a holiday rush is not what you would want yourself to end up doing. So as early as now, decide with the 5 Ws and 1 H.
What theme? A theme can be very important because this gets your guests excited and it sets a mood for the event. Plus, themes make your party planning a lot easier because a theme gives a sense of direction especially on a budget. Who? It’s important to know who would you invite and the number of guests attending. Will there be children? Most likely. Will your grandma be there? Probably. Whoever’s coming, knowing your guests give you the idea to set the right theme and appropriate party needs. When? It’s not easy marking the big day. You want everyone of your friends and families to come, so red mark a day when everyone is available. And based on experience, Friday to Sundays are the best days to host a party. Where? You don’t need to rent a venue. If your place is just as fine, then why not. You just spare a lot on your budget. Why? Answering your first Ws give an overall picture of your party and these questions help on determining your budget. There are bottles of champagne worth below Php 500 and if you buy in bulk you might get a 10% to 15% discount. The best place to buy wines are the supermarkets. 3) Potluck Buffet for menu. Encouraging a potluck style reunion is a great way to host a party on a budget. To pull this off successfully, you have to talk about the theme of the party to your guests and hand out the list of the food they will be sharing to avoid clashing of dishes and to keep from bringing the same food. 4) Make good use of your phone apps. For event organizers, your phones are the modern day party planners (but don’t also underestimate a good ole’ book planner tho). The phone apps give you the convenience to deliberately do your tasks anytime, anywhere, just like our PawnHero app. Here are a couple of best party planner phone applications you can use for FREE! Try out the Evite app to check on your budget. Pin Pinterest o your home section for a party-planning inspiration board. Get the Evernote app to check your lists and stay organize. Plus the Asana app is best if you plan to have a team to help you (which will be talked about here after). 5) Prep that party jam. What’s a party without music right? Make sure to prep your playlist. Keep a wide selection of music in store; upbeats, dance music, top 40 pop songs, top 100 billboard songs, and give everyone a taste of their jam. Plus, you can also get the party a karaoke. Fun tip: Download the Party Mixer DJ player app. This has an auto “DJ mode” that automatically mixes songs for you. Party! Party! 6) Get creative with budget decors. You don’t have to spend more than a thousand to set the theme of your party. You can always be a creative genius using budget-friendly materials. A DIY home made decor such as snowflakes using papers will do. For the table setting, you can find a nice clear bowl and fill it with old Christmas balls. You could check out Youtube tutorials to get crafty and artsy. Gift baskets are great giveaways, but for an even pocket-friendly prize, the holiday loot bags are a treat. You can go visit the flea markets such as Divisoria to buy the trinkets you need. Download this game app: Heads Up! Thanks to Ellen DeGeneres, we know this is the fun and hilarious charades app Ellen uses on her show. No man is an island. Ask your best friends to help you out, ask them to come in early and be the last one to leave to help clean up. If someone from your group is a talented bartender, use his/her skills to spice up the bar. Invite a cook-friend, invite your best friend and invite a skilled bartender-friend. Remember the Asana app? You can use that to check on the progress of your plans. 9) Leftover food and packed-home party foods. Two things to expect after the party, first, prepare the “pabalot” (takeaway food). This Filipino culture where guests at parties ask to pack them party foods to bring home is something you should look forward to. So, make sure to buy brown paper bags or food boxes so you won’t have use those microwave containers you have in store. Second, your fridge will be stacked with leftover food, but that’s not bad. You could cook your own leftover recipe in the morning for you and your overstay buds. 10) Don’t stress yourself. Enjoy. Being a perfectionist is good but too much is stressful. One thing you’ll learn, it will never turn out the way you wanted, only better, because holiday celebrations are filled with spontaneous spur of the moments. So, enjoy and go with the flow. Important reminder: A brilliant party planner makes sure all his/her guests’ needs are available. Plates, drinks, everything should be there so that all you have to ask them is to help themselves. You don’t want to always have to move around like a server. Now get ready to party! If you don’t want to stress yourself with the lack of budget, well, be worry-free! PawnHero is here to save your celebration! Just visit the PawnHero website to learn how to loan for cash. Plus, do download the PawnHero app as well. In any case you want gaming consoles for your party then visit the newest online shopping store of PawnHero, Marketplace.ph. You’ll find authentic pre-loved items on bargain prices! Cool! Don’t forget to like PawnHero Philippines and Marketplace by PawnHero on Facebook for updates, games and cash prizes!